Experience the history and craft of Australia’s oldest working pottery with demonstrations, hands on activities with clay and interpretive displays. 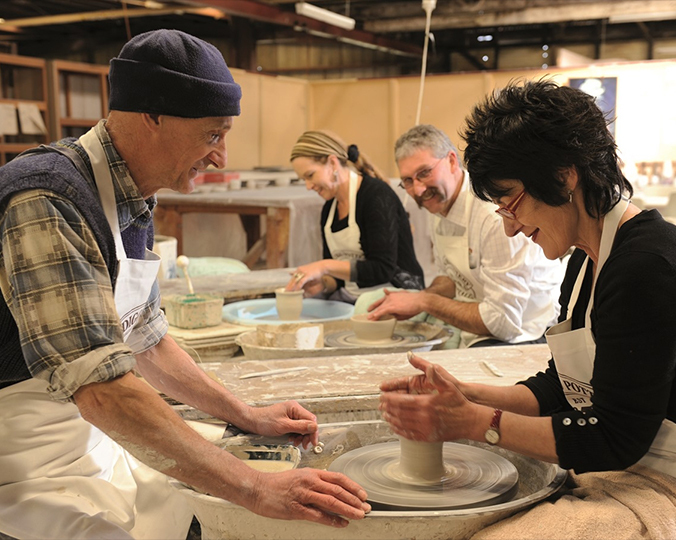 Visit the Interpretive museum, step back in time and learn about the production processes, machinery, working conditions and traditional skills of the Bendigo Pottery from its beginning in 1858 to the present day. Relax with a coffee or light meal and wander around the extensive sales gallery featuring a huge range of traditional and contemporary ceramics. Explore the new Antiques & Collectables Centre with over 40 individual sites under the one roof. Visit one of the smaller studio galleries including artists in textiles, metal sculptures, glass beads, printmaking, photography, painting & jewellery.